Arthur Caldwell almost defeated Robert Menzies in the poll in 1961, and won the debate about policy. After the 1961 election Robert Menzies made Arthur Calwell’s policy his own. Here’s a speech I gave on the economics of inequality at the AGM of the Victorian Fabians. The speech notes are below the video. Warwick Smith from Australian Fabians Inc. (AFI) on Vimeo. Speech notes from Per Capita’s Medium page. This speech was given by Per Capita Senior Economist Warwick Smith at an event held by the Victorian Fabians on 18 April 2018. I was interviewed by Amy Mullins on Uncommon Sense following the publication of my report on the history of unemployment in Australia. The interview is about 40 minutes long which allowed us to really delve into the topic of unemployment. Thanks Amy for a really enjoyable conversation. This report was launched at a post-budget event where I was on a discussion panel with Wayne Swan, Stephen Koukoulas and Emma Dawson on May 16. You can listen to a podcast of the event. Maintaining full employment in Australia was once considered a top priority of state and federal governments. For more than two decades, between the end of World War Two and the early 1970s, unemployment in Australia was around two percent. Keeping unemployment low was seen as a collective responsibility. There was explicit acknowledgement of the fact that capitalism, by its very nature, produces winners and losers, and that if we want the benefits of a market-based capitalist economy then we must also take responsibility for the casualties. In the 1970s and 80s all of this changed. Liberal free-market ideas rose to dominance across most of the world in what is now often referred to as neoliberalism. Instead of viewing unemployment as a collective problem, neoliberalism painted unemployment as an individual responsibility. The public focus shifted from ensuring there were enough jobs for all to a dialogue around individual employability. Tellingly, it was in the mid-70s that the term ‘dole-bludger’ entered the Australian lexicon. Ever since then successive governments been increasingly punitive in their treatment of the unemployed. obligation activities become pointless and degrading bureaucratic hoop-jumping exercises. reversed from the 1970s onwards. Australia operates under a theoretical policy framework that makes use of a buffer-stock of unemployed people to maintain price stability. Within this framework there is a strong argument for supporting unemployed people with much higher welfare payments, in recognition of the fact that they are casualties of our public policy decisions. unemployed rather than compensate them. This article was originally published at The Age on 2 May 2017. Victorian Treasurer Tim Pallas’ 2017/18 budget contains a handful of measures aimed at improving housing affordability, including exempting first home buyers from stamp duty for properties under $600,000 and doubling the first home buyer’s grant to $20,000 for purchases in rural and regional Victoria. Both of these measures might help some first home buyers get into the market but they do nothing to actually address housing affordability (in fact they will drive up prices). Similarly, while initiatives in the budget aimed at increasing the provision of social and affordable housing are commendable, they also do nothing to address the broader problem. 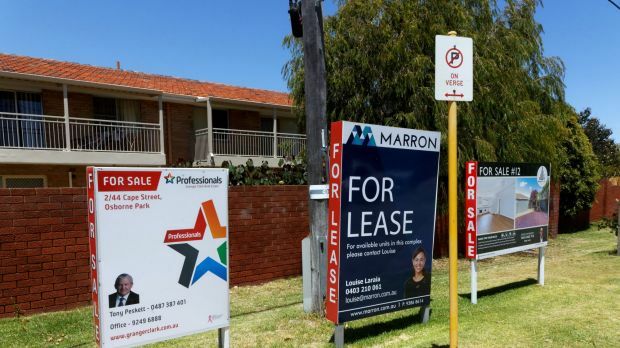 Everyone acknowledges that house prices are too high but governments of all levels and all stripes are reluctant to take action that risks deflating or popping the housing bubble. This leaves them tinkering around the edges – as the Victorian government has done in this budget. This year the Victorian government expects to raise more than $6 billion from real estate stamp duties, now the single biggest source of tax revenue for the government. Stamp duties are notoriously bad taxes, increasing the cost of purchasing a home and acting as a financial barrier to moving house. Federal treasury examined all major taxes in Australia and found stamp duties to be the most inefficient of the lot. The ACT is proving that state and territory governments do have an option for maintaining revenue while getting rid of inefficient stamp duties. They’re replacing stamp duties with land taxes. The same review by Treasury that showed stamp duties are our most inefficient taxes found that land taxes are the most efficient. The problem with land taxes is that they will actually improve housing affordability and that’s probably not a palatable outcome. Improving housing affordability can only be done if house price growth falls below income growth. Federal tax settings including negative gearing and concessional treatment of capital gains have made housing investment in Australia artificially attractive and drawn in millions of middle class and higher investors. None of them would be too pleased if house prices fall or even if the government was seen to be reducing their investment return. We’re stuck in a difficult place with house prices too high and bringing them down seemingly unachievable. The ACT, once again, has the answer. They’re taking 20 years to very slowly and incrementally replace stamp duties with land taxes. The slow transition means that the impact on prices in any one year will be almost too small to notice but the cumulative effect will be to greatly improve the efficiency of the ACT economy, including improved housing affordability and more efficient use of existing housing stock as it will cost so much less to move house. We’ll get lower prices relative to incomes but it will happen slowly enough that investors won’t realise until it’s too late (shhh, it will be our little secret). This Victorian budget was a great opportunity for some bold tax reform aimed at breaking the deadlock on housing affordability. Next year will be an election budget, not usually a place for bold reform. Maybe whoever is Treasurer in 2019 could do a study tour of the ACT and bring back some sensible tax reform and some much-needed relief from endless commentary on house prices. Warwick Smith is a research economist with Per Capita.